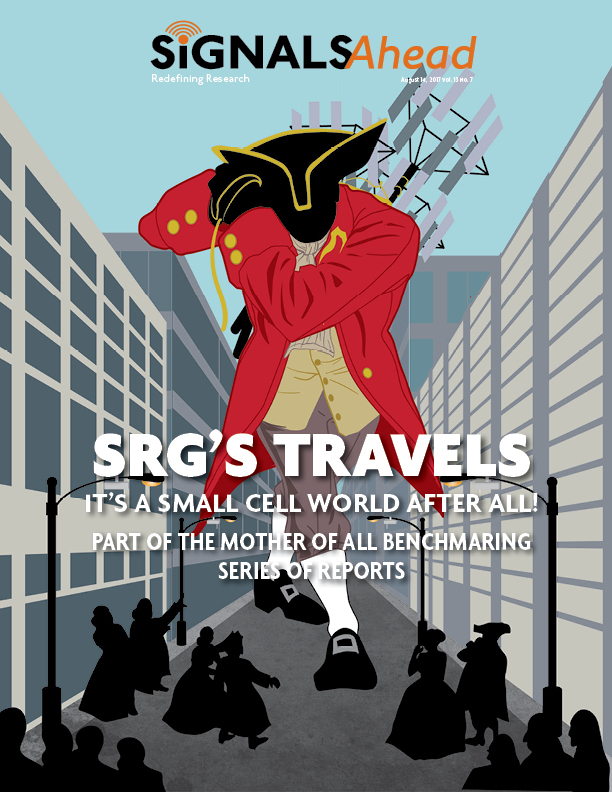 In this Signals Ahead report we provide results from our independent and in-depth analysis of LTE small cells, specifically mini-macro cell sites and the Sprint “Magic Box,” which is essentially a repeater-like solution that leverages a B41 radio channel for the backhaul and a separate B41 radio channel for the access network. Our Thanks. This study could not have been done without the support of Accuver Americas, who provided us with its XCAL-Solo drive test tool and XCAP post-processing software. Our Approach. We tested the Sprint LTE-TDD network in New York City and at the SRG Global Headquarters in Minnesota. We used two Galaxy S7 smartphones with one smartphone locked to a macro EARFCN (radio channel) and the other smartphone locked to the mini-macro / Magic Box EARFCN. The Results. Although much is made about the use of small cells to improve coverage – especially the Sprint Magic Box – we determined that the biggest benefit associated with both small cell configurations was their impact on overall network efficiency due to the much higher SINR these solutions delivered. We quantify the benefits, both for network efficiency as well as the benefit to consumers.